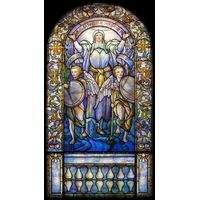 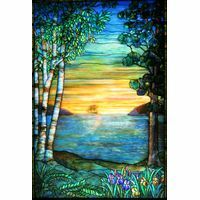 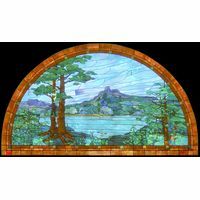 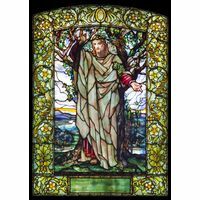 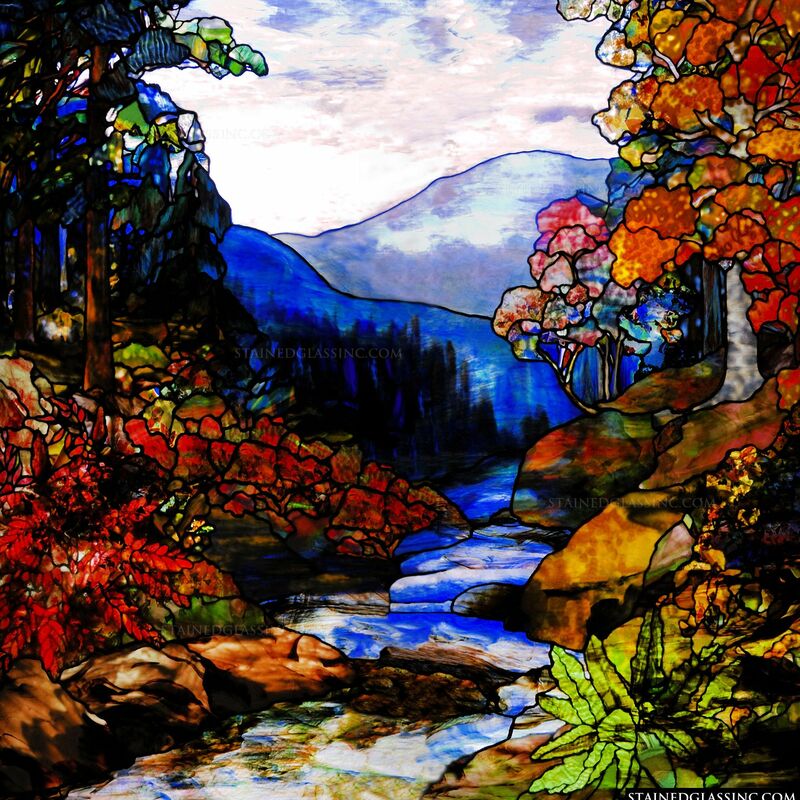 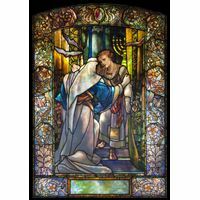 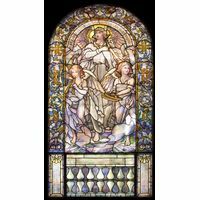 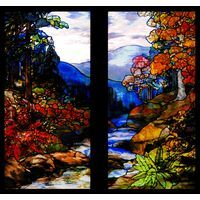 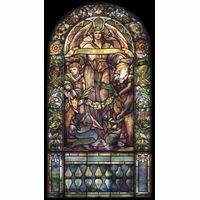 Majestic blue mountains tower in the background of this stained glass artwork. 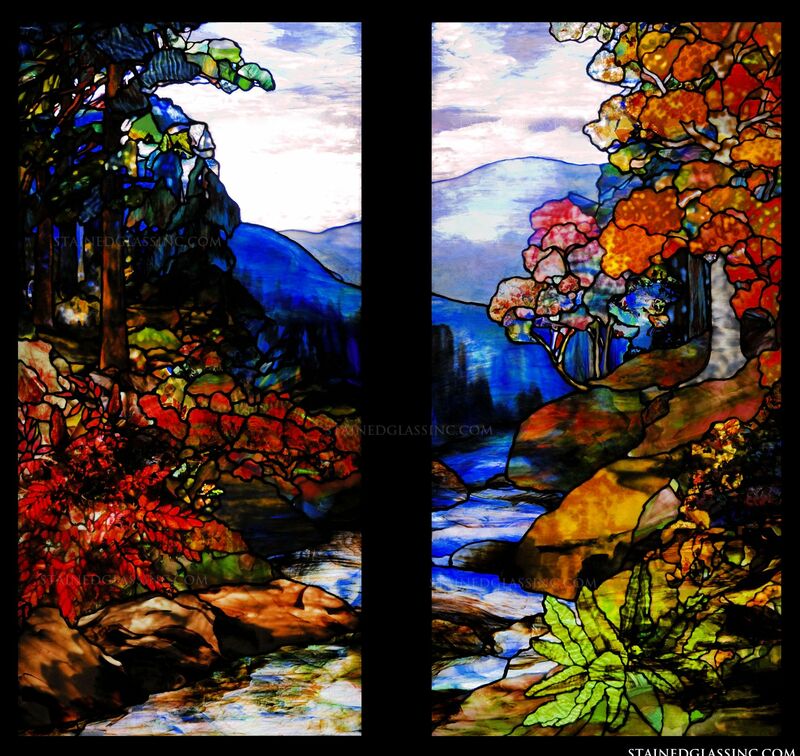 Below the mountains, a stream flows between rocks and autumn colored trees. 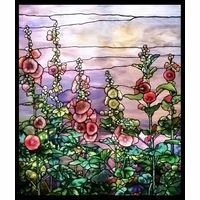 The colorful detail of this piece well thought out and brilliantly placed by our masterful artisans at Stained Glass Inc. Order this piece today and add color and beauty to your home or business.